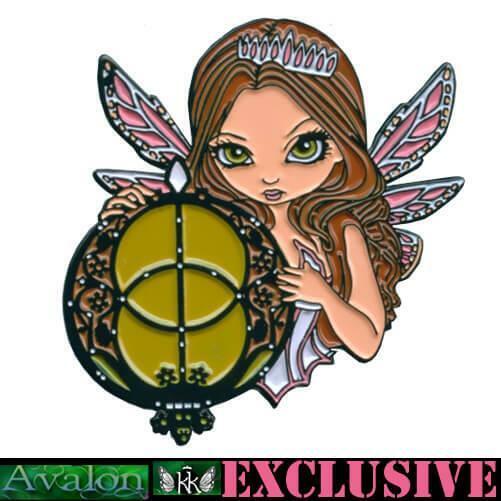 “Avalon Faery” was a special pin I created specifically for attendees of the “Avalon Faery Fayre” in Glastonbury, held by Karen Kay events, at which I was the guest artist for Spring, 2018. 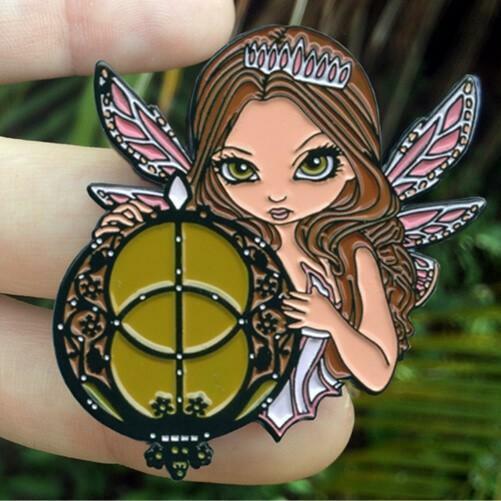 She was a pin I created based on the “magical geometry” of the Vesica Piscis design decorating Glastonbury’s Chalice Well at the sacred Chalice Well Gardens. 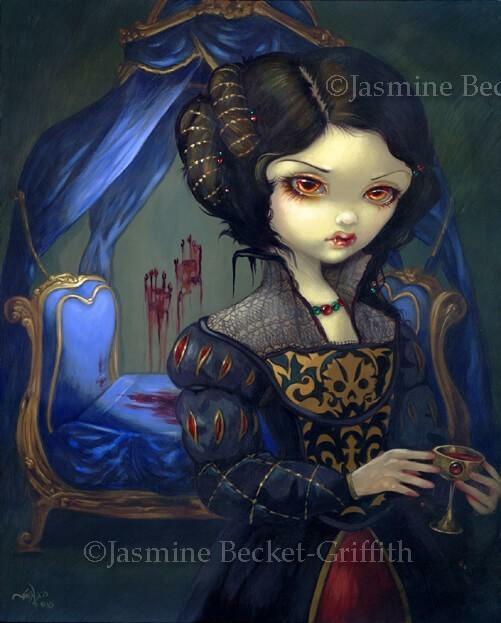 Only 100 available, she was a free giveaway that was given to the first 80 customers to make a purchase (ANY Jasmine art or merchandise!) 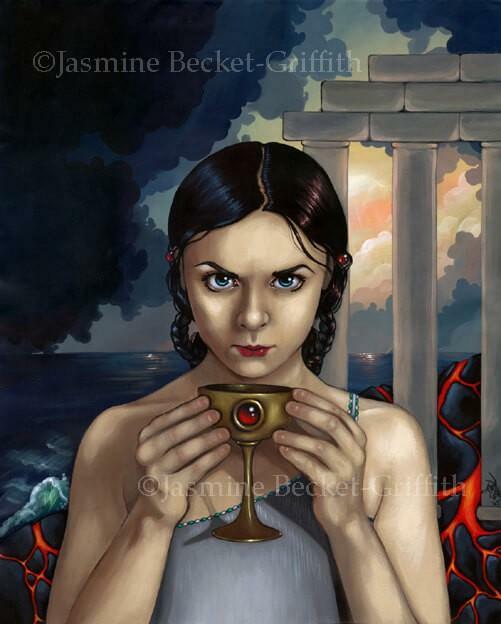 at the fair on Saturday, March 10th and the first 20 customers to make any Jasmine purchase on Sunday, March 11th. She was not available for sale, only as a freebie to those customers attending the event. With all my Event Exclusive pins, I technically make a few extras in case of loss/damage/bloopers, and if they are not needed I give those away too as freebies to the folks in my Patreon Pin Collector tier – be sure to sign up here to be included in the giveaways. 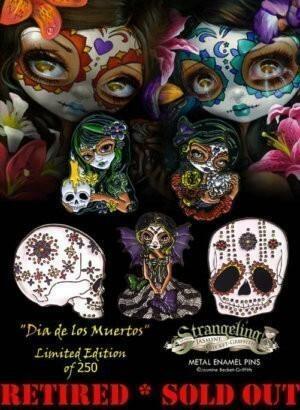 You may also want to join the free official Strangeling Pin Collectors group up at Facebook here to possibly score some of these rare pins, or buy / sell / trade Strangeling pins with other collectors!